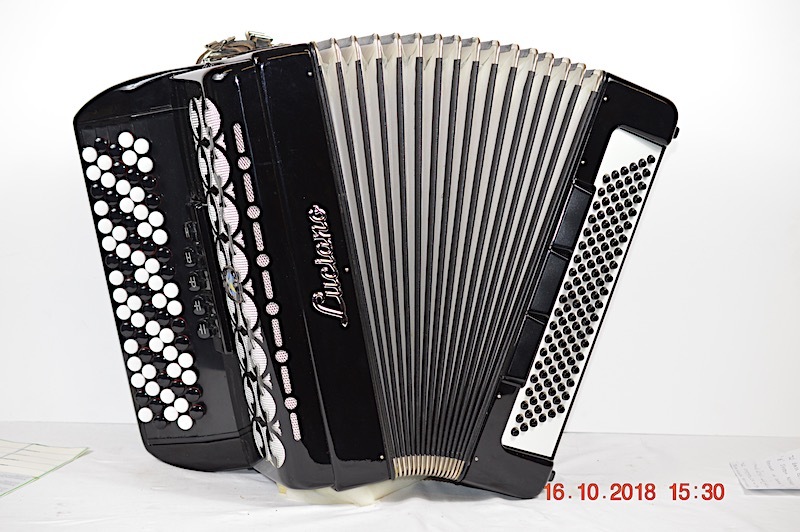 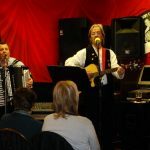 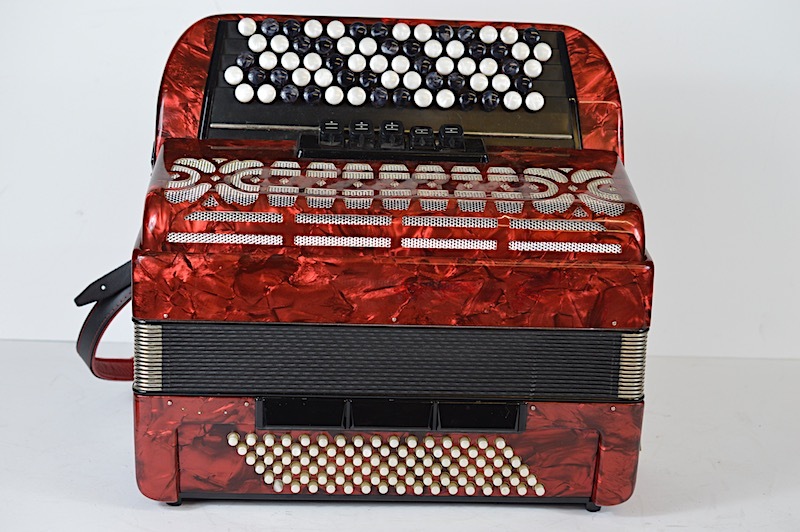 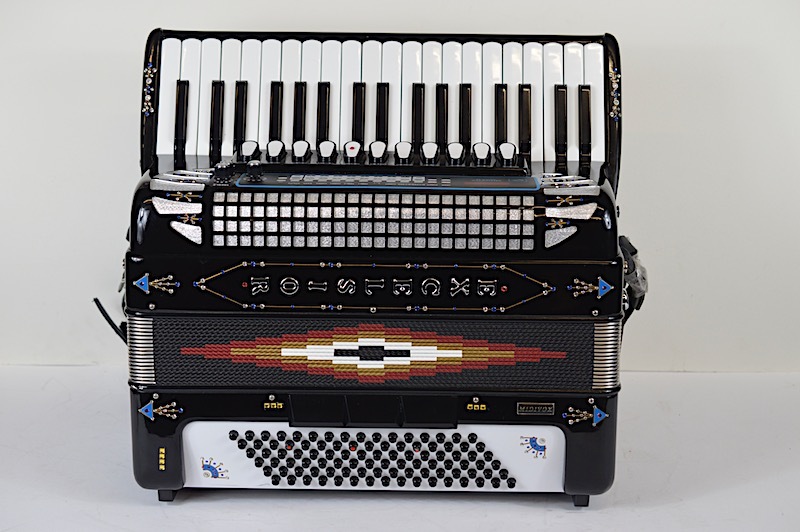 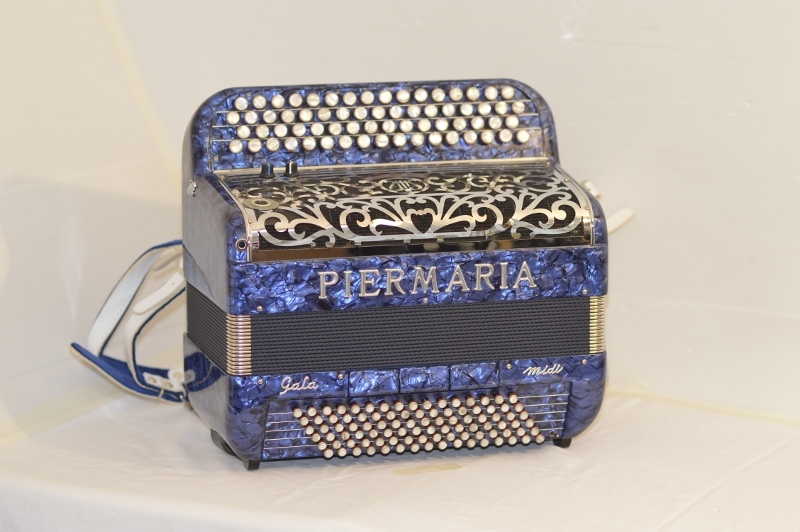 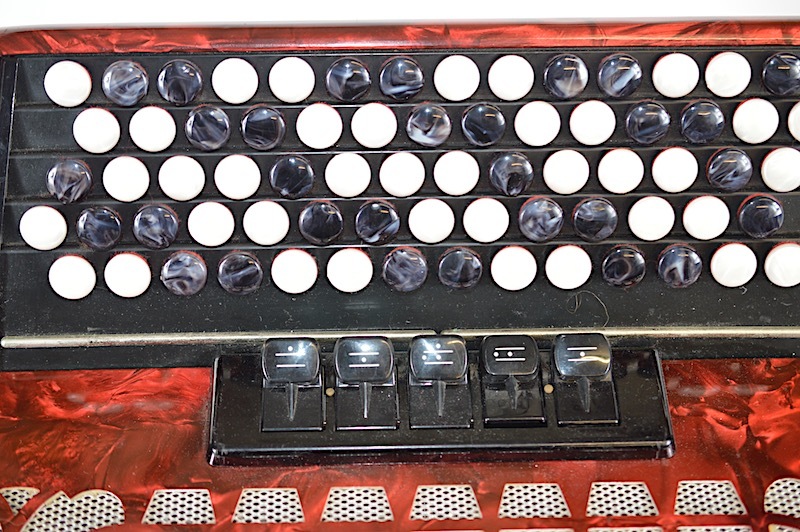 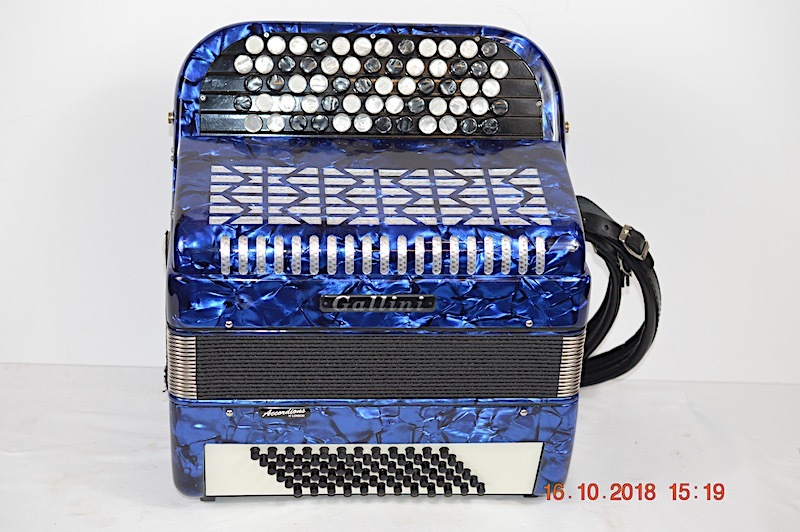 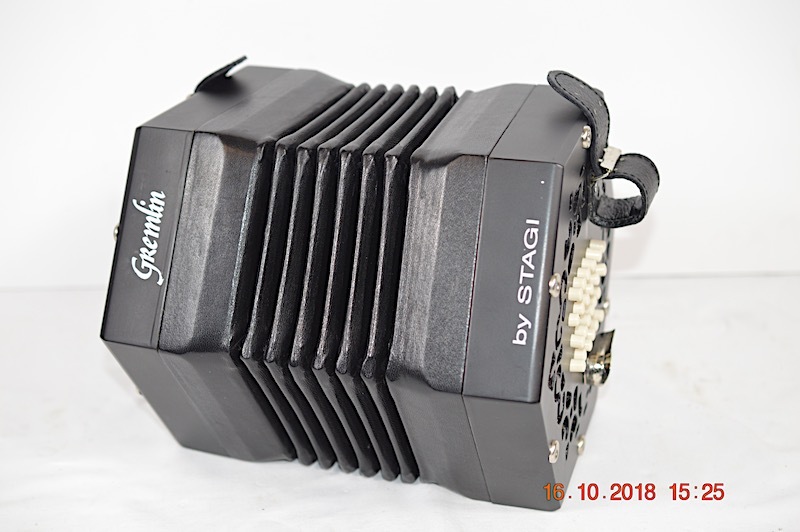 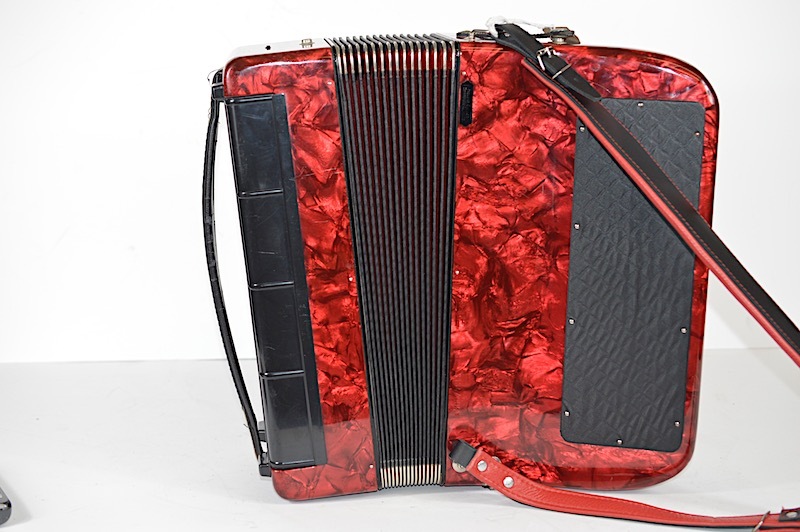 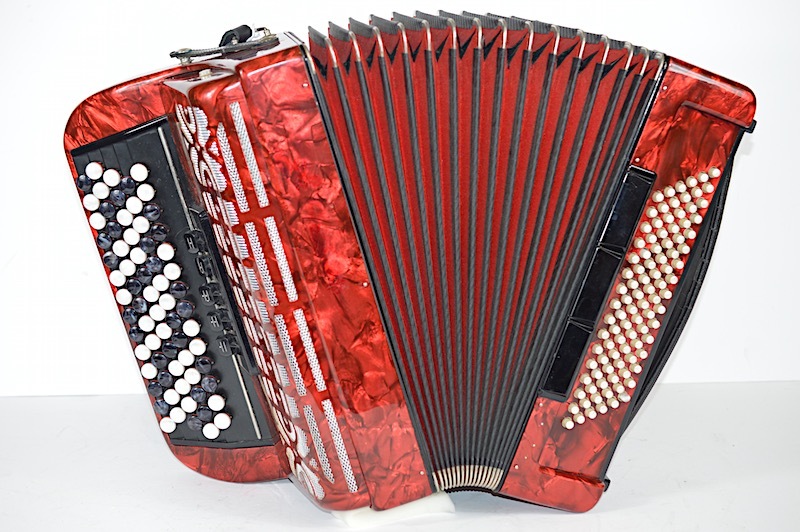 This chromatic button accordion in c system which has no name added to it was made in Germany extremely good quality made in the weltmeister factory. 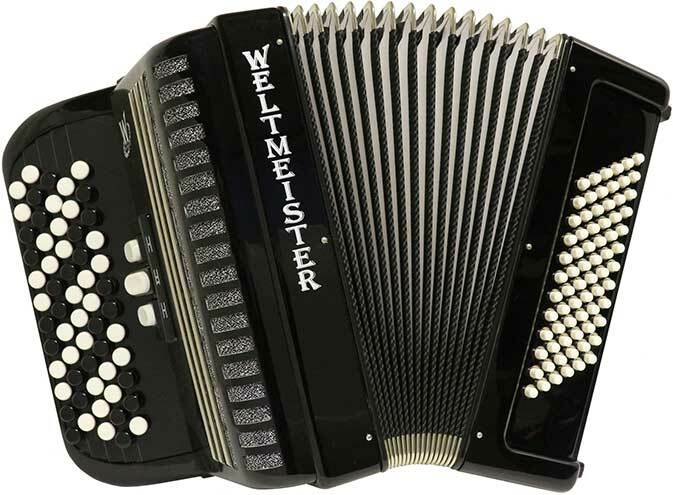 Plays well with a strong sound to the treble and the bass. 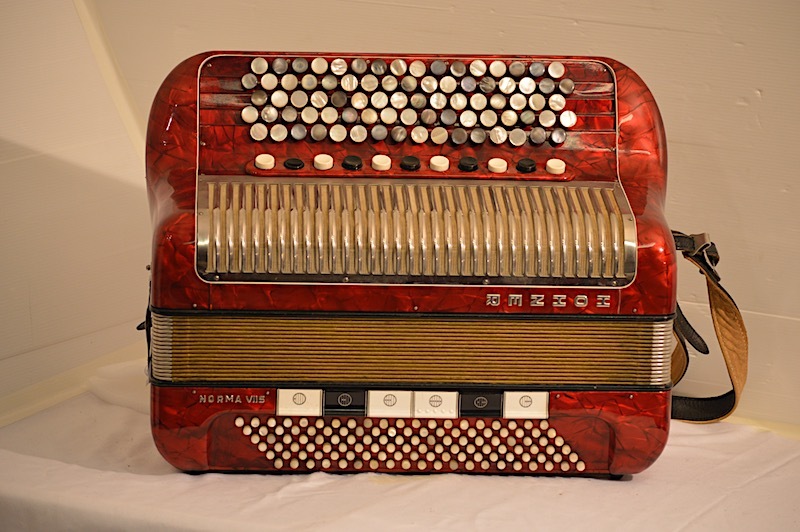 It has been reconditioned and serviced in our on sight work shop.